Economy Digital Scale - Texas Brewing Inc.
11 pound (5kg) capacity digital scale. This Economy Digital Scale has a capacity of 5kg or about 11 pounds. Great for measuring hops or specialty grains. 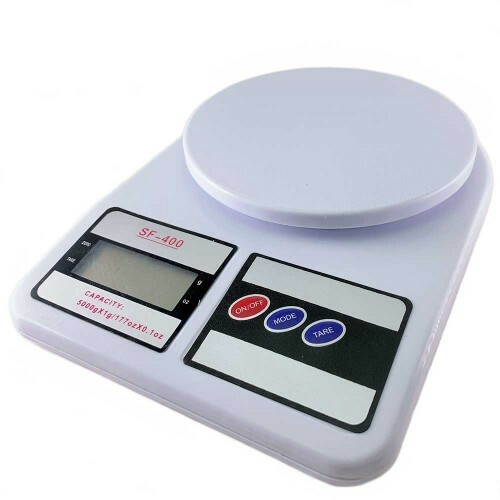 This scale can measure in grams or ounces and features a tare button.